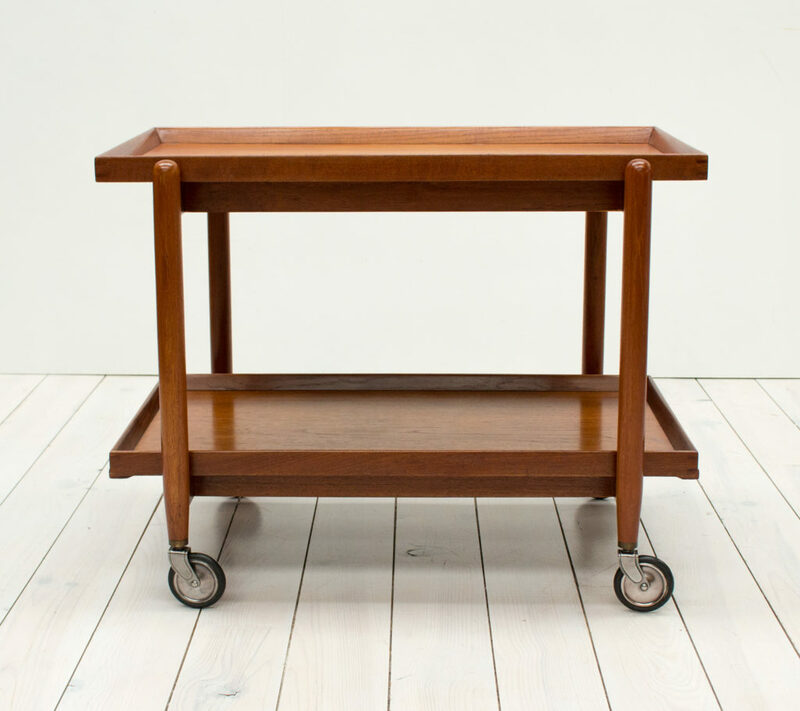 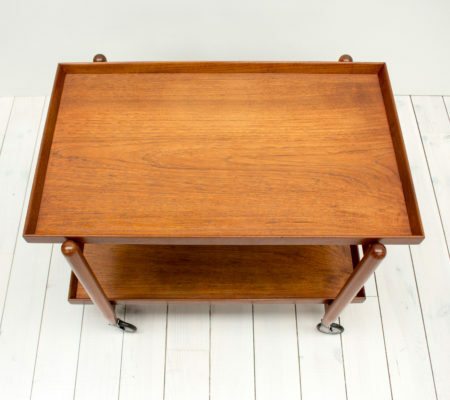 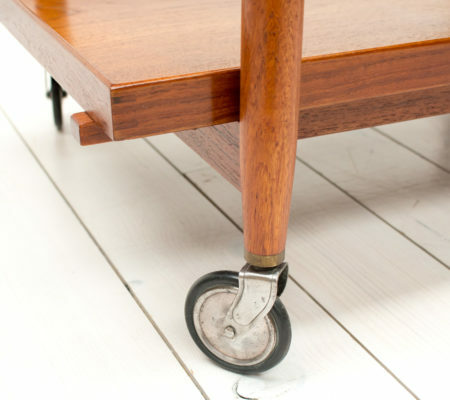 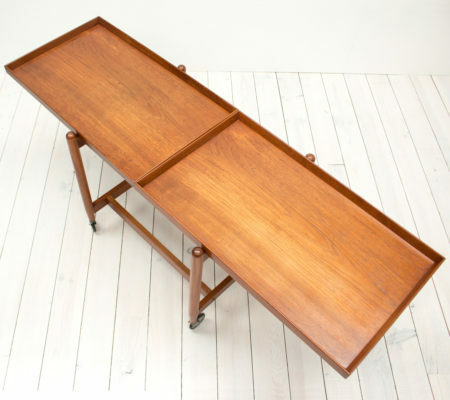 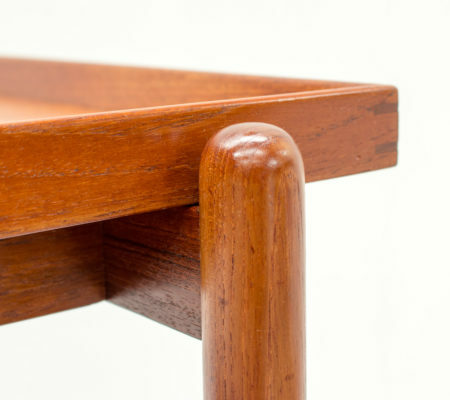 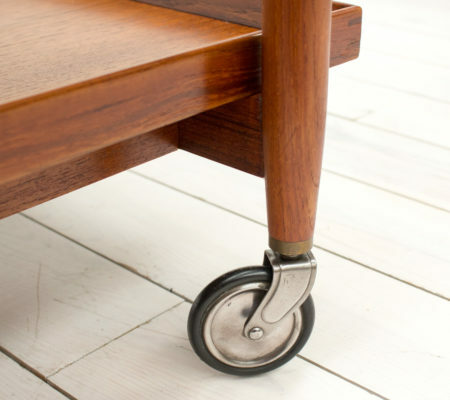 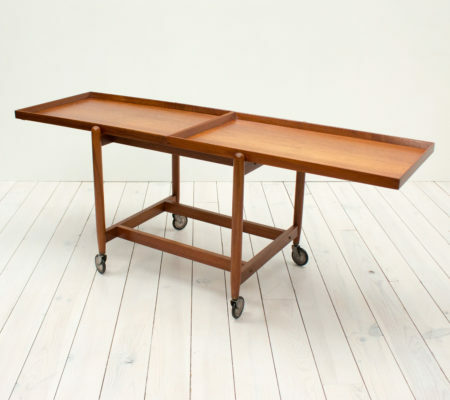 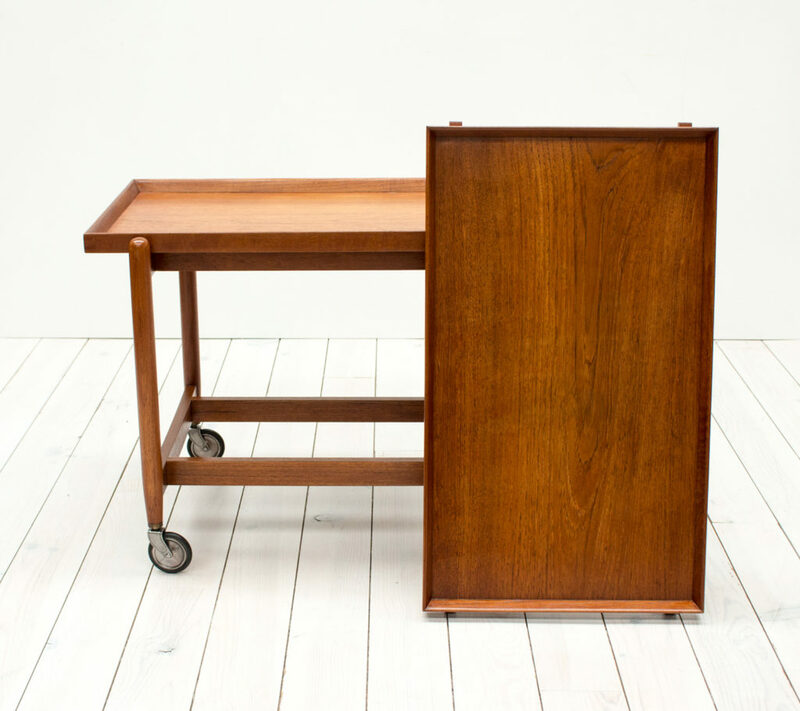 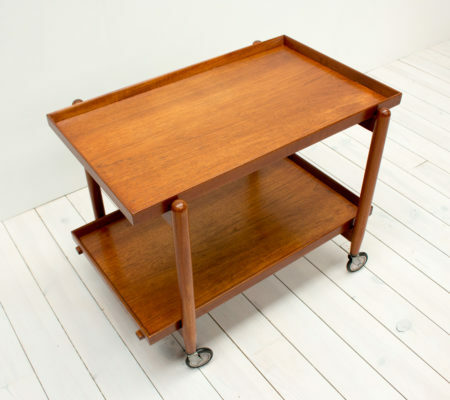 Stylish and practical 1960s Danish teak drinks trolley by Poul Hundevad for Hundevad Møbelfabrik. 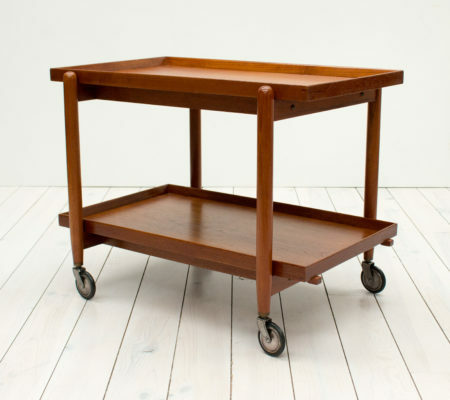 It doubles as a serving trolley by removing the bottom shelf and sliding it next to the top shelf. The bottom shelf can also be used as tray. There is the odd sign of wear and tear but the item is generally in very good condition.